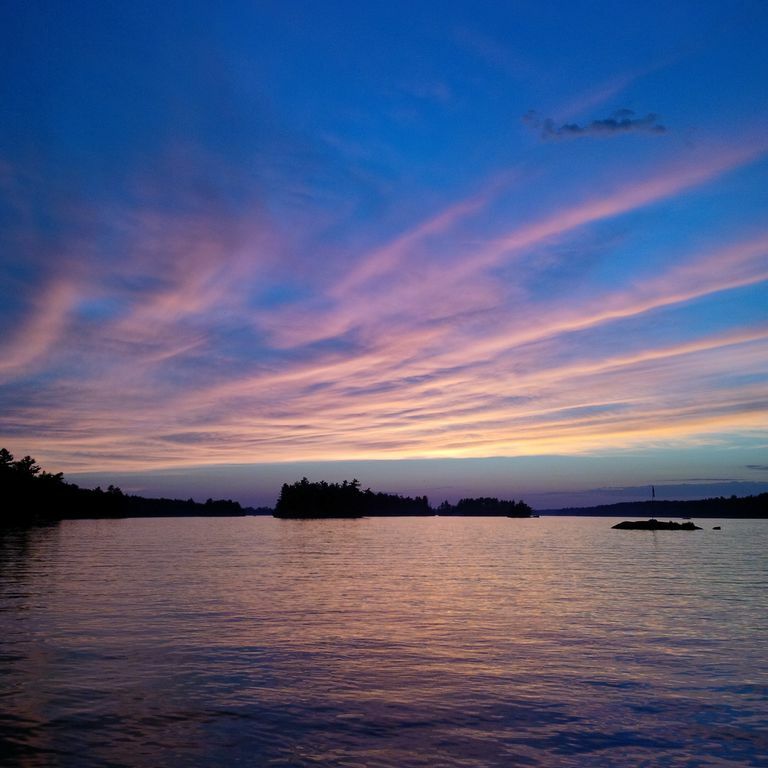 Gorgeous Lake Muskoka Sunsets near Bala, west facing cottage with a boat launch nearby if you have a boat. Sand beach area great for kids and adults alike. There is a large outdoor deck with plenty of room to BBQ and a fire pit available. 3 bedrooms with a 3 piece bath, 2 fridges, stove, microwave, BBQ, TV, DVD, cards and games. Water toys include a rowboat, paddle boat, and kayak as well as children's beach toys. Minutes from town for food shopping, restaurants, Don's Bakery, LCBO and all your basic supplies. Cottage is an easy 2 hour drive from Toronto. Perfect family vacation cottage located in close proximity to shopping and other amenities. The west facing sundeck is perfect for outdoor dining or to simply kick back and enjoy the sunsets. The property has a 40 foot dock for a boat. Public launch is very close and Lake Muskoka offers miles of boating or good fishing locally.